Co-developer of Thought Field Therapy®, and CEO of Callahan Techniques, Ltd. Joanne is a graduate of the University of California Santa Barbara and received her MBA in Healthcare Administration from California State University San Marcos. She is Director of the Thought Field Therapy Training Center and publisher and editor of The Thought Field, a quarterly newsletter and Tapping for Humanity, a quarterly e-zine for the TFT Foundation. She is trained in TFT at the Advanced and Voice Technology levels and the only person other than Dr. Callahan certified to teach all levels of TFT. Joanne Callahan co-authored Thought Field Therapy and Trauma: Treatment and Theory, and Stop the Nightmares of Trauma (with Forward by Jack Canfield, co-author Chicken Soup for Soul® Series), and Chapter 12, Thought Field Therapy: Aiding the Bereavement Process, in Death and Trauma: The Traumatology of Grieving and Tapping the Body’s Energy Pathways. 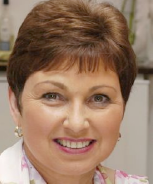 Joanne is President of the TFT Foundation, USA and on the board of directors for the UK chapter. Jenny Edwards has searched her entire life for increasingly effective healing practices. When she heard of Thought Field Therapy in March 1997, she knew that one of her missions was to take it into Third-World countries. The following summer, she became trained in TFT Algorithms. As she began using it, she was impressed with the immediate results that it produced. In January 1998, she took the TFT Diagnostic training from Dr. Callahan. 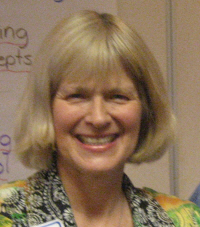 She began conducting trainings in the Denver area in June 1998. She happened to be training a group of people in Nairobi, Kenya in August 1998 when the American Embassy was bombed. She was able to go to Kenyatta Hospital and help trauma victims eliminate their trauma, flashbacks, and pain from the bombing. Since then, she has given trainings around the world in French, Italian, Spanish, and English. In 1999, she became trained in Voice Technology. She also holds Master Practitioner certification in Neuro-Linguistic Programming, as well as Clinical Hypnotherapist certification. Douglas has been working with energy since he was 5 years old. 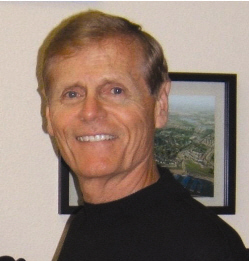 He is certified in Thought Field Therapy at the algorithm, diagnostic and advanced levels. Douglas is trained in Optimal Health, a program for treatment and self-testing procedures. He has been using TFT Voice Technology as a way to empower his clients to reach their fullest potential through balance since 2011. He has worked with a variety of clients and enjoys a high success rate of helping people with both physical and mental traumas though autonomic balance and using Heart Rate Variability monitoring. He also works with people striving to reach their full potential in sports, business and spiritual endeavors. Douglas pursues his interests in the field of consciousness through both science and spiritual modalities. He enjoys inventing and building working movements of mechanisms, both mechanical and energetic. Douglas loves to study water and the way it records consciousness and is influenced by the works of Gerald H. Pollack and Masaru Emoto. Bruce holds a BS in Engineering, and two advanced degrees in Business. His business career encompassed 21 years at Procter & Gamble and 18 years with Frito Lay, retiring as a VP of Operations. In addition to TFT Board responsibility, he serves as a local Housing Commissioner and is President of his family foundation. Bruce and his wife Dariah teach, consult and run TFT support groups. They travel extensively and work hard to keep up with four grandchildren in Texas and Alabama. Oob Nding also serves on the UK board of directors. 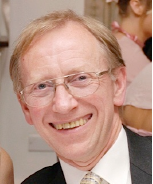 Howard Robson is a retired Consultant Physician, Clinical Pharmacologist and Cardiologist. During his professional career he has occupied managerial and teaching posts, and has maintained an interest in research, having 50 publications in respect of cardiology, pharmacology and education. He has also developed many local initiatives, including pre-hospital emergency care and cardiac rehabilitation. He has had a long interest in the psychological aspects of disease, avoidance of the overuse of pharmaceuticals, and reduction in the medicalisation of individual’s lives whenever appropriate. He is a Fellow of the Royal Colleges of Physicians of Edinburgh and London, and at present continues as examiner for the College examinations in the UK and abroad. Howard is trained in Thought Field Therapy to advanced level, which he considers to be an effective, efficient and safe therapy for many conditions, and undertakes research to further the evidence base for Thought Field Therapy, so that it can be used more widely in the Health Service environment, and parts of the world suffering conflict and natural disasters, especially where resources are limited. Howard has organised, and led, a major research project in Uganda, and has accompanied his wife Phyll on humanitarian missions in Haiti and Uganda. He has made several presentations at the Association of Comprehensive Energy Psychology (ACEP) annual conferences, and in 2014, was awarded the Annual ACEP Humanitarian of the Year award. Howard is Chairman of the United Kingdom Thought Field Therapy Foundation. Phyll held senior posts in the Criminal Justice System. She designed, implemented and managed a number of innovative projects to improve services provided to victims of serious crime. She was instrumental in setting up the first Child Witness Support Scheme in England. Phyll served on the Cumbria Criminal Justice Strategy Group emphasising the rights and needs of victims in the aftermath of serious crime. She has also worked as a Freelance Consultant in change management. Since February 2009 Phyll has been deployed to Uganda as a member of the TFT Foundation UK team on three occasions. In July 2010 she traveled to Haiti to provide algorithm training to local people and to carry out as many treatments as possible to people affected by the devastating Earthquake. Phyll frequently speaks at and attends conferences sharing her passion for all things TFT and its associated fields. Phyll also takes part in radio and television programmes. 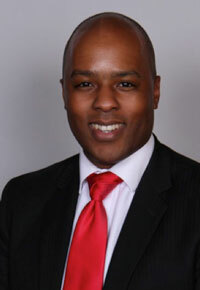 Phyll is the Secretary/Treasurer of the TFTUK Foundation Board. After a childhood spent in Gabon, Central Africa, Ngub Nding graduated from the Université de Montpellier, France in both Pharmaceutical and Food Sciences. Early in his life, he developed a passion for holistic healing and dedicated the last twenty five years of learning, researching and practicing different energetic modalities from martial arts, traditional Chinese medicine, kinesiology, reflexology. After fifteen years of research and development in plant biology for the pharmaceutical and cosmetic industries, his encounter with TFT led him to chose to dedicate his life to apply and research this incredibly efficient technique. Ngub Nding is trained at the TFT Advanced level and is the lead French trainer at the Bootcamp level. He serves on the board of the TFT UK Foundation.